Thirty Years since Morgentaler: A New Frontier? January 24, 2018 January 23, 2018 2 Comments on Thirty Years since Morgentaler: A New Frontier? January 28, 2018 marks the thirtieth anniversary of the Morgentaler decision that declared Canada’s 1969 abortion law unconstitutional. For thirty years, the country has been without a federal law governing abortion. In place of a federal law, provincial regulations and the individual provincial colleges of physicians and surgeons have governed access to abortion. Such regulations have varied dramatically between the provinces and territories, resulting in an uneven patchwork of abortion services across the country. The 1988 Morgentaler decision was the culmination of twenty years of Dr. Henry Morgentaler’s relentless struggle to provide Canadian women with equitable and safe access to abortion services. Morgentaler built on the energy of women and professional organizations that had been arguing for decades that the criminalization of abortion was ineffective and merely harmed women who put their lives at risk to terminate their pregnancies. Morgentaler, with the support of pan-Canadian abortion rights activists, opened freestanding abortion clinics in Quebec, Ontario, and Manitoba. He opened the Toronto clinic to purposefully contravene the abortion law and launch a legal challenge. Following a 1983 raid of the clinic by Toronto police, Dr. Morgentaler, Dr. Robert Scott, and Dr. Leslie Frank Smoling were charged with illegally providing abortions. In 1984, a jury acquitted the doctors, but the Ontario government appealed that decision. When the Ontario Court of Appeals ordered a retrial, Morgentaler appealed the decision to the Supreme Court of Canada. 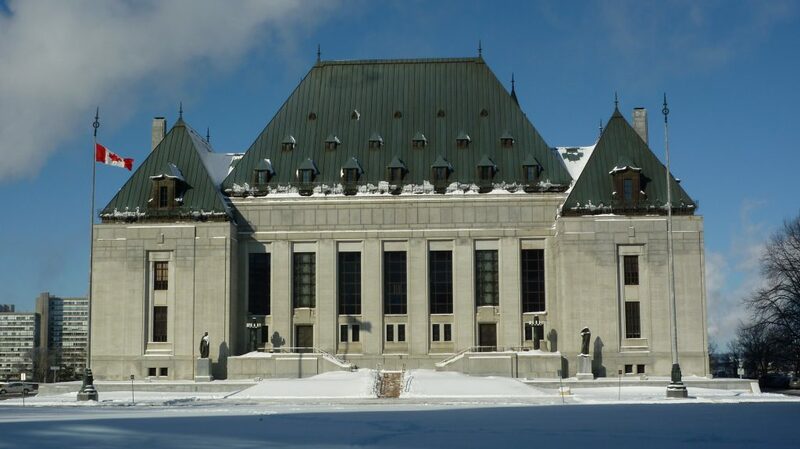 In January 1988, the Supreme Court of Canada declared, in R. v. Morgentaler ( 1 S.C.R. 30), that section 251 of the Criminal Code violated section 7 of the Charter. They ruled that the abortion law infringed upon a woman’s right to security of the person and that the procedures whereby women were deprived of this right did not accord with fundamental justice. Section 7 of the Charter contends, “Everyone has the right to life, liberty and security of the person and the right not to be deprived thereof except in accordance with the principles of fundamental justice.” While the Mulroney government attempted to pass a new law in 1990, it failed in the Senate the following year. The lack of a federal abortion law has created liberal access in some areas of the country, but without a guaranteed right to abortion, access has been further diminished in other areas. There have been persistent access disparities over the past thirty years. Most notably, those in rural areas, the far North, and the Maritimes, have faced a lack of availability that has forced women to travel great distances to access abortion services. There have also been persistent efforts to re-enact federal abortion restrictions. Since the 1988 Supreme Court decision, almost fifty attempts have been made, mostly through private member bills, to introduce a new abortion law. Although all of these efforts have failed thus far, they help to keep abortion in the news and politics. When Henry Morgentaler died on May 29, 2013, his death caused some pundits, activists, and scholars to question what the pro-choice movement would look like in his absence. In the years since his death, many notable gains have been made in the struggle for abortion access, which demonstrate the vitality of the pro-choice and reproductive justice movements in the country. For example, in 2014 New Brunswick eased some abortion restrictions in the province, including the rule that women had to gain the permission of two doctors before accessing a provincially-funded abortion. In 2015, Health Canada approved the abortion pill Mifegymiso for sale in Canada. In 2016, Prince Edward Island announced that abortion services would return to the island after almost thirty years. Some might view the shifting governmental policies as confirmation that denying abortion access is socially unacceptable in the twenty-first century. However, abortion remains an ongoing issue in politics and on university campuses. In November 2017, candidates in the Saskatchewan Party’s leadership race were asked about their position on abortion by an anti-abortion group, RightNow. While pro-choice candidate Tina Beaudry-Mellor argued that Canadians “have had the conversation on reproductive rights. We are not going back,” it remains a divisive issue in election cycles. More recently, abortion has been raised in discussions about free speech on university campuses. Specifically, discussion has focused on the funding of anti-abortion groups on campus and their right to assembly. Currently, the federal government is in the news for preventing the Canada Service Corps from providing funding to projects that do not respect “the values underlying the Canadian Charter of Rights and Freedoms (Charter) as well as other rights…includ[ing] reproductive rights….” As we reflect on the 30th anniversary of the Morgentaler decision, it is important to highlight the ongoing struggles over abortion access and provision. It might be 2018, but abortion continues to be a polarizing issue. Shannon Stettner teaches in the Women’s Studies Department at the University of Waterloo. Her research examines women’s abortion rights activism, reproductive justice, and public opinion on abortion in Canada. She is the editor of Without Apology: Writings on Abortion in Canada (Athabasca University Press), and co-editor of Transcending Borders: Abortion in the Past and Present (Palgrave MacMillan) and Abortion: History, Politics, and Reproductive Justice After Morgentaler (University of British Columbia Press). Katrina Ackerman recently completed a SSHRC Postdoctoral Fellowship at the University of Regina. Her co-edited collection, Transcending Borders: Abortion in the Past and Present, was published by Palgrave Macmillan in 2017. Her research has been published in the Canadian Bulletin of Medical History, Acadiensis, Labour/Le Travail, and most recently, Abortion: History, Politics, and Reproductive Justice after Morgentaler (University of British Columbia Press). For an analysis of the Morgentaler decision, see Karine Richer, “Abortion in Canada: Twenty Years After R. v. Morgentaler.” Ottawa: Library of Parliament, Parliamentary Information and Research Service, 2008. See http://www.res.parl.gc.ca/Content/LOP/ResearchPublications/prb0822-e.htm. For lack of availability and travel distances, see Christabelle Sethna and Marion Doull,” “Spatial Disparities and Travel to Freestanding Abortion Clinics in Canada,” Women’s Studies International Forum 38 (2013): 52-62. On these efforts, see Rachael Johnstone, After Morgentaler: The Politics of Abortion in Canada (UBC Press, 2017). For example, PEI’s premier Wade MacLauchlan announced the return of abortion to the Island because he knew that the province could not win a lawsuit that had been filed to challenge the absence of abortion services. See, http://www.cbc.ca/news/canada/prince-edward-island/premier-wade-maclauchlan-abortion-1.3516128. For an analysis of the free speech issue on Canadian campuses and the link to the anti-abortion movement, see Robyn Schwarz, “When Protecting Free Speech Means Taking Away a Woman’s Right to Choose: Andrew Scheer and the Anti-Abortion Movement in Canada,” Reproductive Activism and Abortion Research Network Blog, January 22, 2018, http://raarn.ca/node/66. There is still some confusion as to what the Right to Life advocates for. As a supporter of the Right to Life movement, I still argue for women who do choose to have an abortion in a hospital in a timely and safe manner. We respect others right to choose as long as they respect our right to believe that life begins at conception and we are to protect it. As women, we can all have differing beliefs on the right to choose and the right to life but we have to respect each others decisions and that goes both ways. What we don’t support is public taxes going towards private clinics while procedures that are a matter of life and death have to wait years before being performed. History is all about differing ideas and beliefs and how they evolve. It’s great that you can be respectful of women who chose to have abortions although it is not something you would choose to do. In my research, unfortunately, that response has not been a common one among those opposed to abortion.